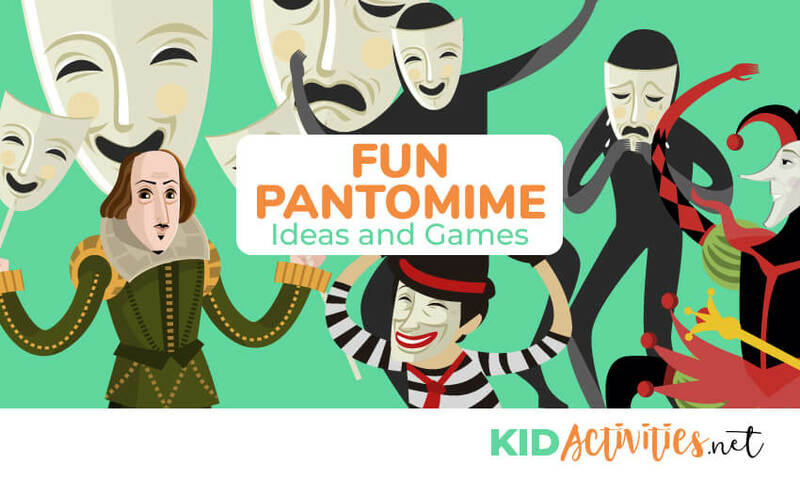 Need some fun pantomime ideas and games? Look no further. Here you will find a list of pantomime activities. Building a sense of safety and trust when introducing Drama activities into your program is essential. The following pantomime games and exercises are ideal in establishing that trust between the players; they also will sharpen concentration and get everybody in a good mood! IMPORTANT! It is advised to use these exercises-as well a pair and group improv—early in your drama club to rely on each other. These games and exercises are useful in any drama and theater education environment— as well as any environment in which group dynamics is important! You may discover that youth may want to repeat some of these games and exercises more than once during their dramatic experience!!! Everyone should remember the old “I Love Lucy” series; a favorite of most is the episode when Lucy meets Harpo Marx. In one scene, Lucy has dressed exactly like Harpo; as the latter crosses a room, Lucy crosses it the same way. Harpo looks at his “reflection” and proceeds to “mirror” these crazy movements with arms, hands, legs, etc. Lucy matches him, move for move. A very funny scene – and exceptionally well done. This is exactly the same premise for “The Mirror Exercise”. There are two players. “A” is the follower (mirror) and “B” starts all the action. “A” reflects all B’s movements and facial expressions. Simple activities for “B” to initiate are washing his/her face, getting dressed, brushing teeth – etc. This exercise promotes inventiveness, clowning, and timing – the children should be encouraged to be as specific as they can with each movement. When “B” is finsihed, it is “A’s” turn. Apart from a drama activity, this can also be used by actors just prior to a performance, in the green room. It enables the participants to overcome their fears, and become more relaxed and at ease with themselves. The whole group should stand in a circle, holding hands. One person in the circle begins by turning to the person on his/her right and making a face – it could be an emotional face or a funny face. The next person then makes another face and passes it to the person next to him/her, and so on. The expressions should not be copied, but variations of a theme to be explored– such as each one thinking of a different emotional or funny face. All players except one are in a circle; one player in the middle. The middle player closes his/her eyes — and the rest of the group quietly chooses a leader. The middle player opens their eyes and tries to guess the leader by actions. The entire group follows the leader, in everything he/she does. As soon as the middle player discovers who the leader is –the game is over. Participants should be encouraged to be as specific as they can with each movement This only works if movements are clear, not too fast, and if the group `follows the leader` as fast and as precisely as possible. Ask one player to start doing an activity that somehow broadly defines a location. Example: When someone starts typing she/he might be in a home or office. The other players then become the other objects in the environment. If the first player recognizes the objects, he/she can start using the props built by other players in the environment. Tell players to go for the obvious: in just about any room you could be a plant, a door or a table. Extension: When done, ask the first player to name any `object` built in the environment. You can use this as a handle for a performance. When a player is asked to sit down, and there are no chairs on the scene, another player can become the chair for the first player to sit on. Other examples are ticking clocks in haunted houses, cabinets and closets. Ideas are endless. Divide the group into 2 groups and have them mime a Tug-o-war fight. See that the “mimed rope” does not stretch or shrink and Remember Chivalry—somebody wins and one group graciously looses. Variation: Do 2 per 2. Played in pairs. One player holds his/her hand open with fingers upward–about 2-3 inches from their partner’s face. The leader then starts moving their hand about slowly, while the partner attempts to keep their face at exactly the same distance from the hand. Without touching, it should seem as if the hand is pulling or pushing the face about. Switch sides and partners after a minute or two. Variation: Use both hands. The leader suggests an IMAGINARY object to be passed around in a circle. This object to passed around can be a pea, a huge balloon, or a sack of potatoes…etc. With bodies and expression (no words) have children take turns acting out the below commands. One at a time, each takes a piece of paper from a container. As youth pantomime it, the group or Team guesses the action. • Try to open a window to a fire escape. • Attempt to open a stuck door. • Opening a birthday present that they’ve always wanted. • Eating a bowl full of something really disgusting. • A monkey eating a banana. • Become a swan swimming gracefully on a still peaceful lake–next become a frog jumping in a pond. • Imitate the actions involved in everyday activities: mowing the lawn, making a bed, moving the trash can, sweeping the floor, digging the garden, etc. • Buying shoes, hats, food or a car. • Putting on a pair of shoes: ballerina-fireman, then acting out the character. • Making a telephone call. • Spending a day at the beach. Contrast a hot day with a cold or wet day. • Going camping and setting up a camp (put up a tent, chop wood, build fire, etc.) This is a good group pantomime! • Family car ride (flat tire, something left at home). • Trip to the zoo. • Going out into the snow. • Having a picnic (maybe cows (or bees) arrive unexpectedly). • Walking in the country (rainstorm). • Going on a train journey (lose ticket). • Flying a kite (tangled in a tree or lost). • A misunderstanding or quarrel. • Interviewing a famous person. • A deep sea diver meets trouble. • Become an elephant in a circus. Show how enormous and heavy you are by walking around. Now climb onto your stool and raise you trunk. The actors (youth) work in groups of 4 – 6 and are instructed to pantomime a single general activity. Examples: Playing different sports at school, performing with an orchestra, circus acts, hospital work, etc. Actors should brainstorm details and ideas before-hand. The audience then guesses what is being portrayed. 2. When working with “pretend objects” give it “space.” Even the smallest objects have space. 3. Believable actions: have one student come forward and demonstrate brushing teeth. Most likely, the student will brush their cheek or down their throat. Show that for it to be believable, it must be pantomimed the way they really do it. Youth need to practice and observe themselves and the way they do things. Tell them to be conscious of all their actions. 4. Tell group that when we do a pantomime you need to face the audience. To show an example, set up a kitchen with chairs or blocks. Demonstrate that some things are in front and some in back. Demonstrate how easy it is to turn your back on the audience. Now rearrange the kitchen so your face can be seen by the audience no matter what appliance or counter you are working at. 5. Start out simple: Perform a pantomime of doing a household chore (making a cake or doing dishes, etc.) Give it 1 or 2 minutes and no story. Starting out with the familiar is good. There you have it, 9 fun pantomime ideas and games. These activities are sure to get you jump started on your drama program. Make sure you check out our kids getting to know you games as well.